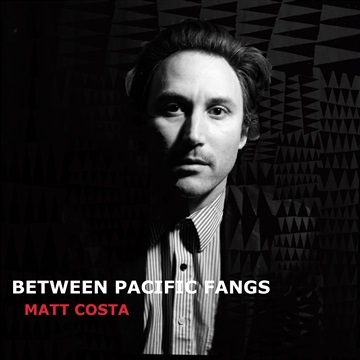 Between Pacific Fangs is where critically acclaimed California-based singer/songwriter Matt Costa has been and where he has arrived with the release of his stirring and cinematic new album Santa Rosa Fangs. Featuring the single "Sharon" and "Grudge" from the album, the EP also includes 3 unreleased demos from the sessions with producers Peter Matthew Bauer (The Walkmen) and Nick Stumpf (French Kicks). Santa Rosa Fangs is critically acclaimed California-based singer/songwriter Matt Costa’s new full-length, his first in five years. The album was produced by Peter Matthew Bauer (The Walkmen) and Nick Stumpf (French Kicks).Throughout the album’s twelve songs, Costa illuminates what he has learned and how he has grown in the past 15 years of his career. His music has taken him around the world, allowing him to work with diverse, respected artists and to connect with people everywhere—from his albums released on Brushfire Records to recording with Belle and Sebastian in Glasgow, to penning film scores and releasing a variety of genre-bending EP’s, and to finally coming home to Los Angeles’s Dangerbird Records for his first new proper full-length release in nearly five years. A rebirth in a sense, through his keen pop sensibility, studious songwriting, technical mastery, and a modern-meets-vintage sound bursting with bite, Costa has recorded the album of his career, one sure to reach new shores and sailors alike.